The revolutionary new driver controlled system that makes Code-60 situations SAFER for marshals and FAIRER for drivers. SpeedMarshal has been created to allow Code-60 to be used safely, reliably and accurately in all categories of circuit racing allowing marshals and drivers at all levels to benefit from all of the safety advantages that the Code-60 flag offers. 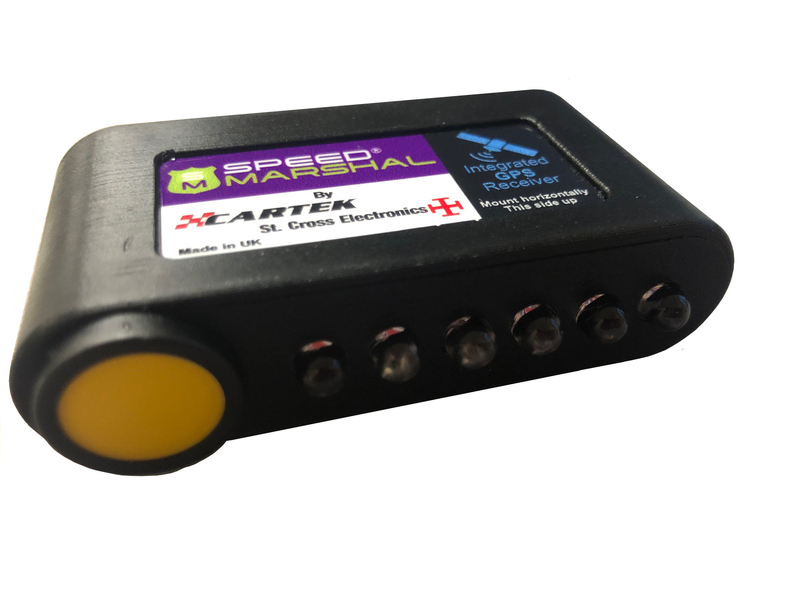 Developed and built in the UK by leading racing electronics specialists, St Cross Electronics and Cartek Motorsport, SpeedMarshal uses GPS technology for system that is easy to use, accurate and reliable. A race can be neutralised immediately a Code-60 command is issued by the Clerk of the Course whereas there can be a noticeable delay in deploying a Safety Car while it starts up, joins the track and waits to pick up the race leader. Once the on-track situation has been removed then racing can resume immediately the command to withdraw Code-60 is issued whereas there can be another delay while a Safety Car circulates back to pitlane before racing can continue. Race positions and gaps between cars are maintained throughout the Code-60 period meaning no driver is disadvantaged or gains an advantage while marshals are attending to an on-track incident. What are the problems with Code-60? Many club level race cars are not equipped with accurate speedometers, many not having a speedometer at all. As such, it was not possible for these drivers to maintain a steady 60Km/h as required by the Code-60 flag. 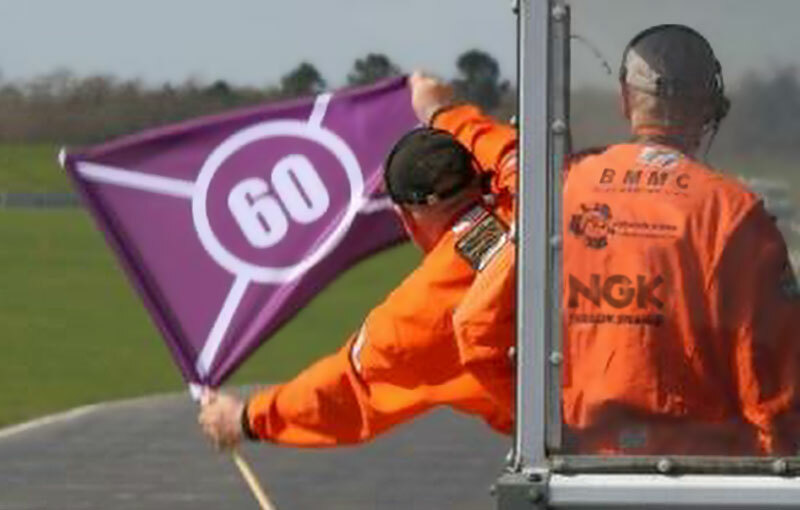 Marshals and officials had no way of determining which drivers were adhering to the Code-60 speed and which were not. If a gap between two cars closed during Code-60 then it could not be determined if one car was exceeding 60Km/h or if it was another that was driving below the required 60Km/h. Some drivers complained that, after an incident was removed and Code-60 flags were with withdrawn then those drivers who happened to be in sight of a marshal post would be able accelerate and begin racing ahead of those who were not in sight of a marshal post thereby gaining an advantage. SpeedMarshal uses GPS technology meaning even cars with no speedometer at all can maintain a steady 60Km/h as required by the Code-60 flag. The side lights on the SpeedMarshal system allow the marshals and officials to clearly see who is adhering to the Code-60 speed. Because of the GPS technology embedded in this system there are two other safety features incorporated into SpeedMarshal. Breakdown (slow vehicle) warning system. 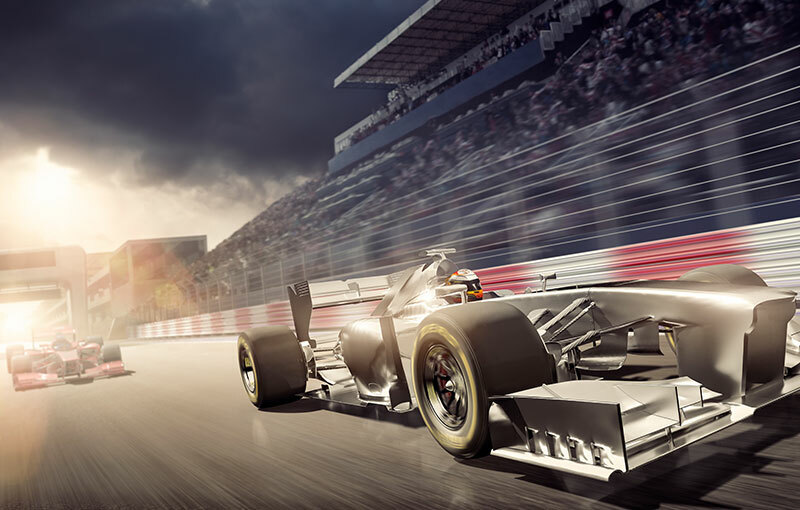 The standing start warning system will, when cars go to the grid and form up for the race, enter this mode. All rear lights and side warning lights start to flash in yellow mode. If the car gets away and gets above 15kph, then the warning light system will turn off and it will revert to dry or wet race mode. If the car does not get away then the lights will stay flashing, warning to other drivers behind and to track workers that there is a problem. The breakdown warning system will start to flash in the same manner as the static start warning system, if the car slows below 40kph. Such a situation could be a car returning to the pits with a puncture for example.